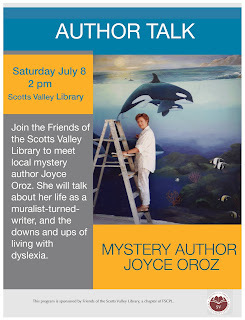 Join the Friends of the Scotts Valley Library to meet local mystery author Joyce Oroz. She will talk about her life as a muralist-turned writer, and the downs and ups of living with dyslexia. Batman and Robin. Peanut butter and jelly. 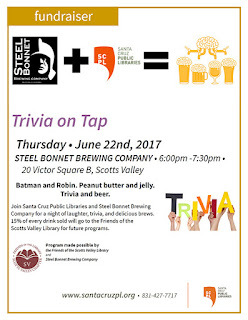 Join Santa Cruz Public Libraries and Steel Bonnet Brewing Company for a night of laughter, trivia, and delicious brews. 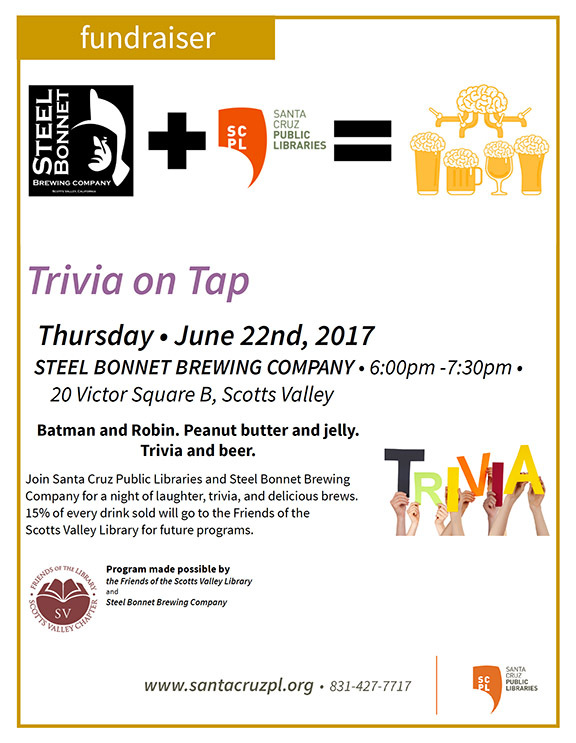 15% of every drink sold will go to the Friends of the Scotts Valley Library for future programs.